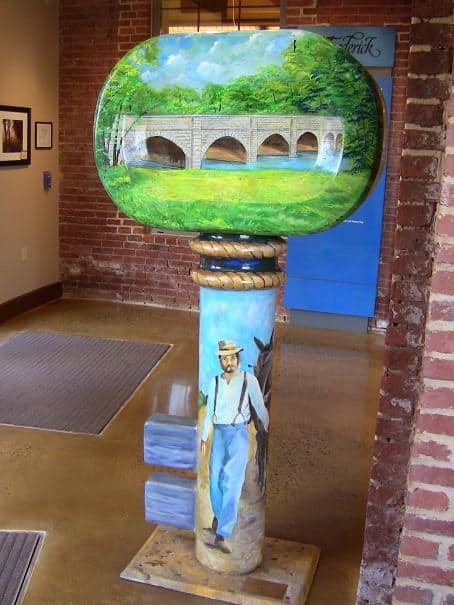 Terri and I have been doing blog posts on Housewives of Frederick County since October 2012. 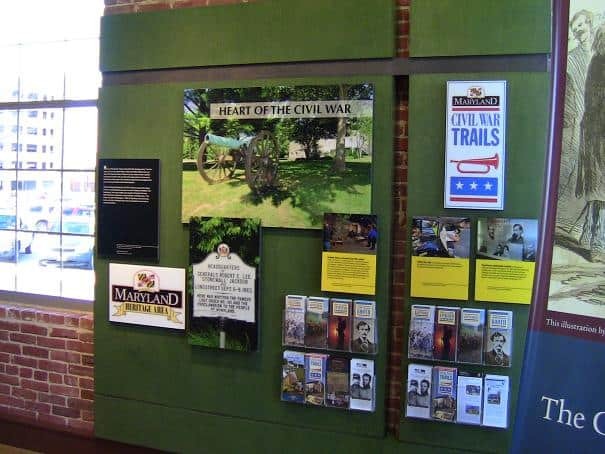 We enjoy offering a variety of recipes, tips, crafts, reviews, and of course highlights of the beautiful town we live in – Frederick, Maryland. 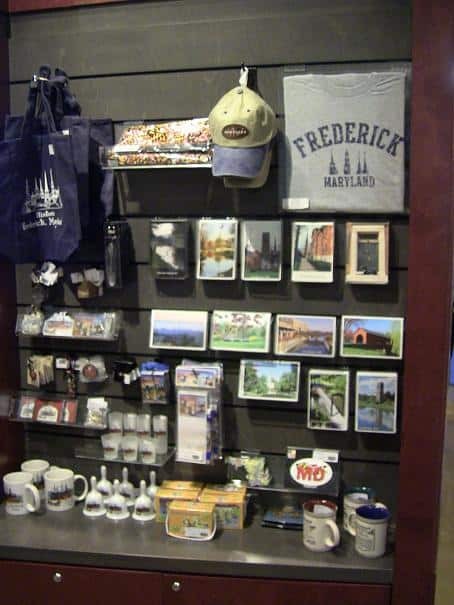 We were so excited to learn that CNN.com just published on March 11, 2013 that our little town of Frederick is one of 8 of America’s Best Small Town Comebacks! 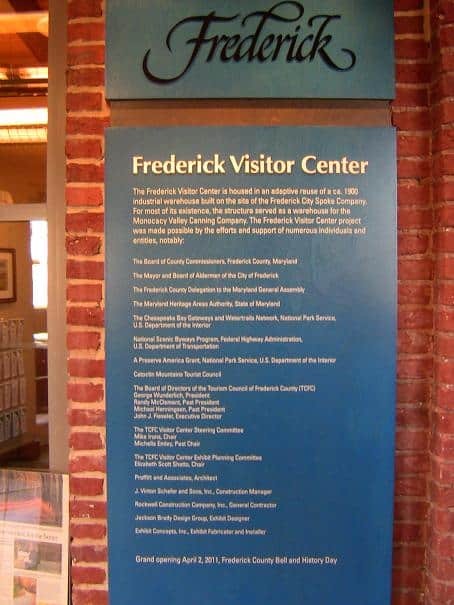 Go Frederick! 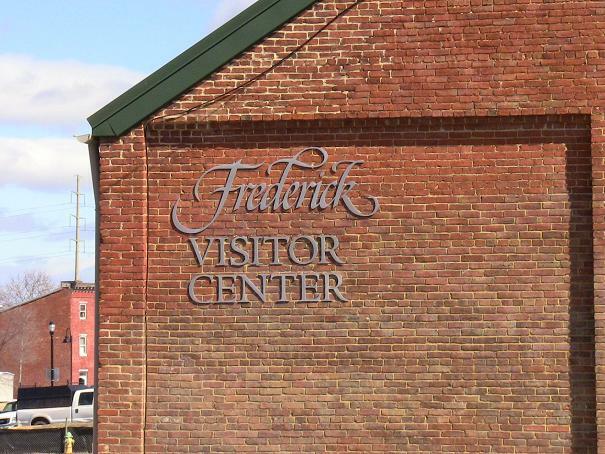 One place that Terri and I have been meaning to visit for some time now is the Frederick Visitor Center. 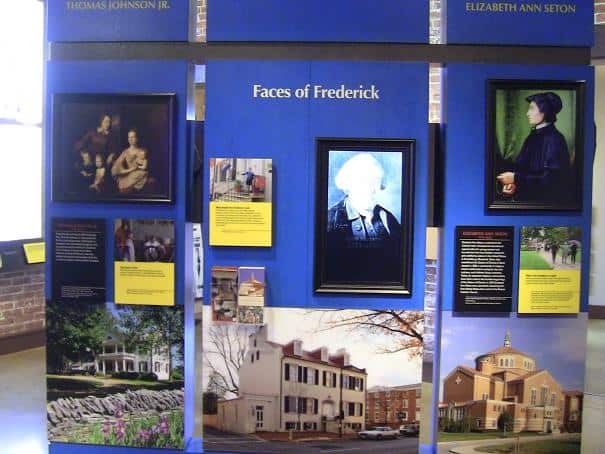 I mean, you can’t try to learn more about Frederick without visiting this place! 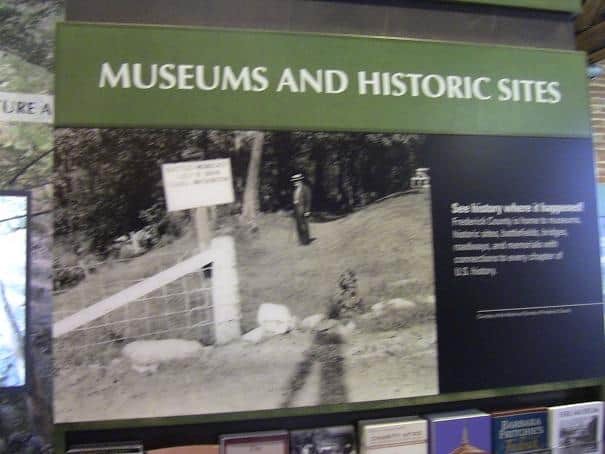 So it made sense for us to check it out. 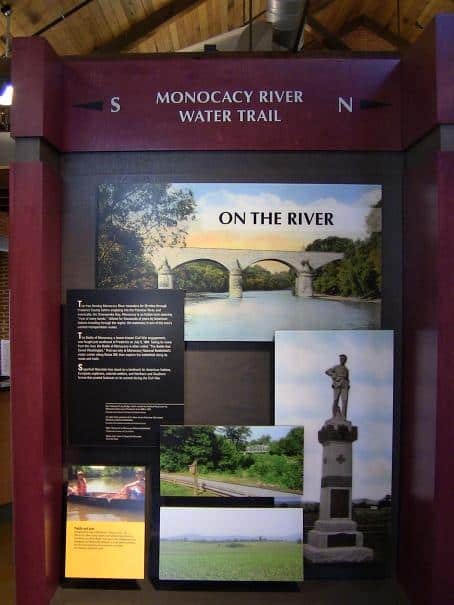 It is housed in what used to be a warehouse for the Monocacy Valley Canning Company starting back around the year 1900. 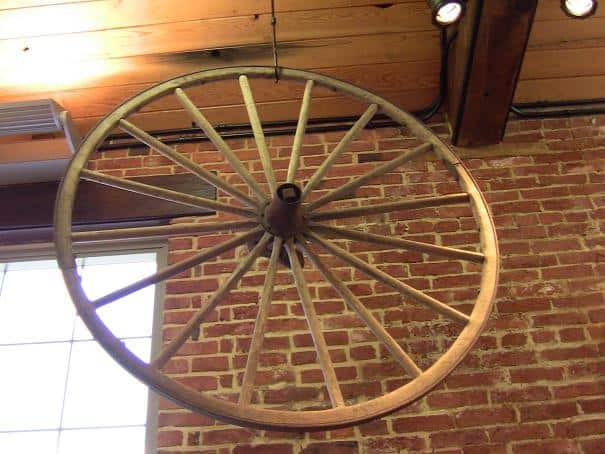 Before it was a cannery warehouse, it was a spoke factory in the late 1800’s for carriage and wagon wheels. 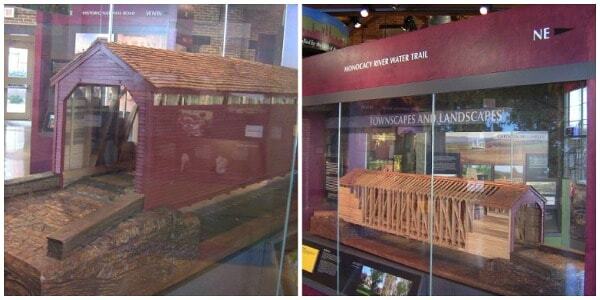 After the cannery warehouse was vacated, this building was left vacant for a while and was almost torn down. 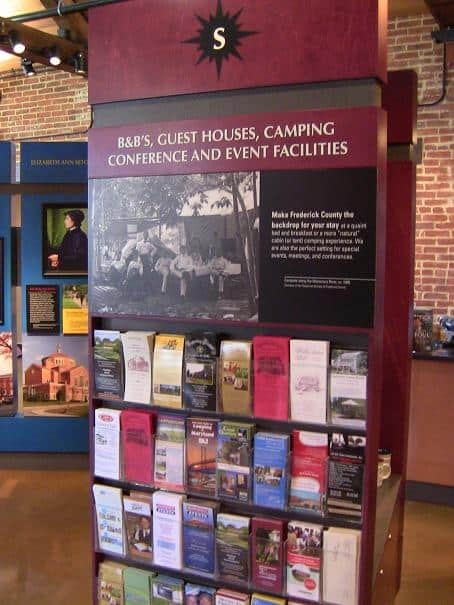 Thank goodness it wasn’t, because now it is a beautifully restored visitor center that contains a wealth of information for our town of Frederick. As soon as Terri and I walked inside we noticed a theater. So we decided to start there. 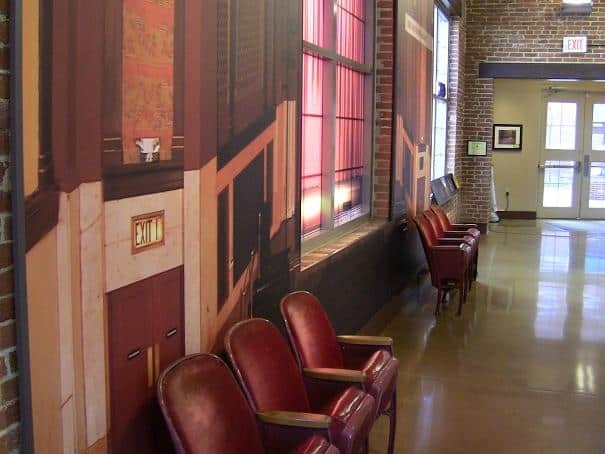 We were very impressed with the seating and the film. 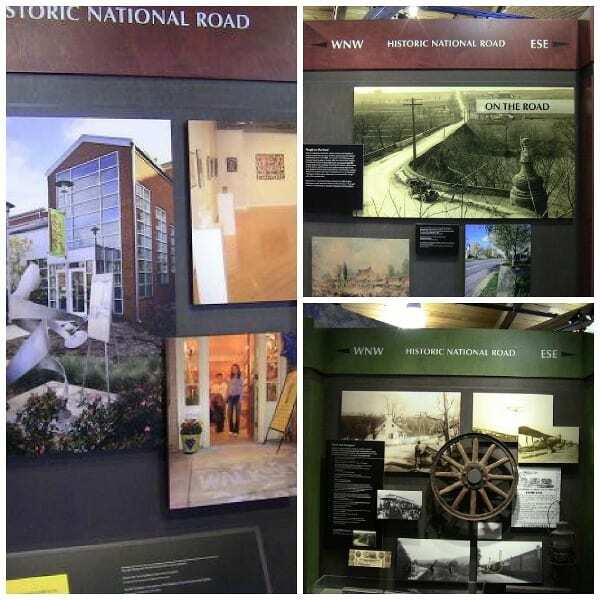 After speaking with the very friendly and helpful Visitor Center Hosts, we found out that the film, “A Turn of the Wheel”, is an award winning film. There were 7 segments, each one lasting only 2 minutes. Very interesting stuff! 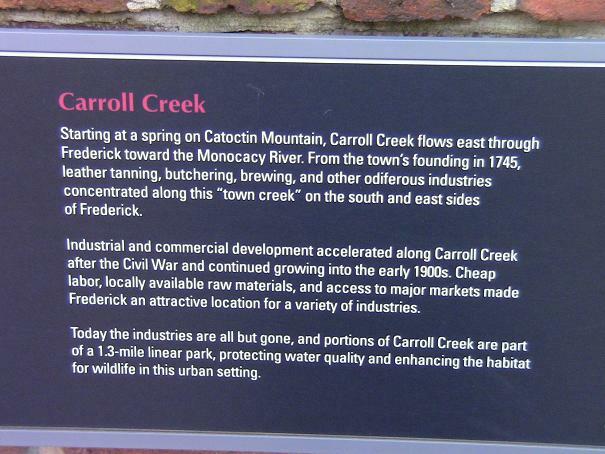 I bet even if you have lived in Frederick all of your life, you will learn at least one thing after viewing this film. 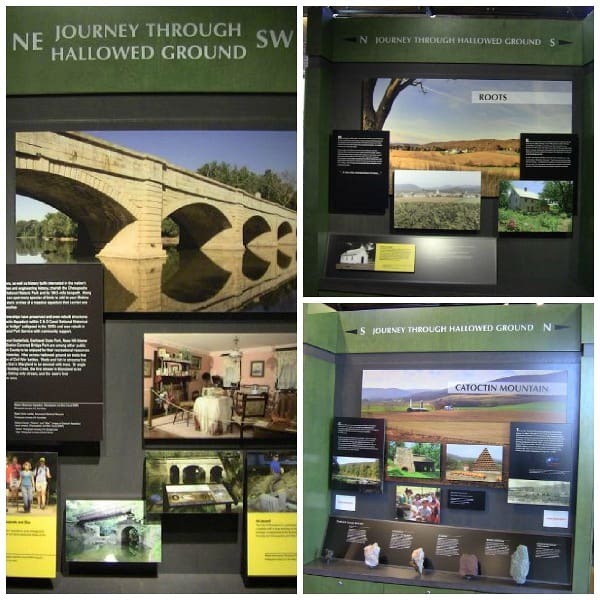 As you walk through the visitor center, everywhere you turn there are interpretive exhibits featuring different aspects of Frederick County’s past, present, and future, including the Civil War, the covered bridges, Frederick’s notables, the hallowed ground that runs through Frederick, the historic National Road, the Monocacy River, Frederick’s museums, the Weinberg Center, pamphlets on everything and anything related to Frederick, and Frederick souvenirs you can buy. The parking is located in the back of the building, which is where Terri and I walked inside and found the theater immediately on our left. 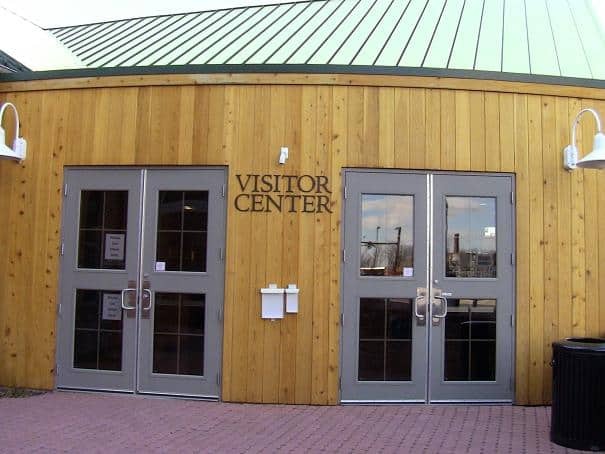 But you can also enter through the front of the building, which faces the road and has a beautiful courtyard with a bell that was donated to the town of Frederick in 2006. 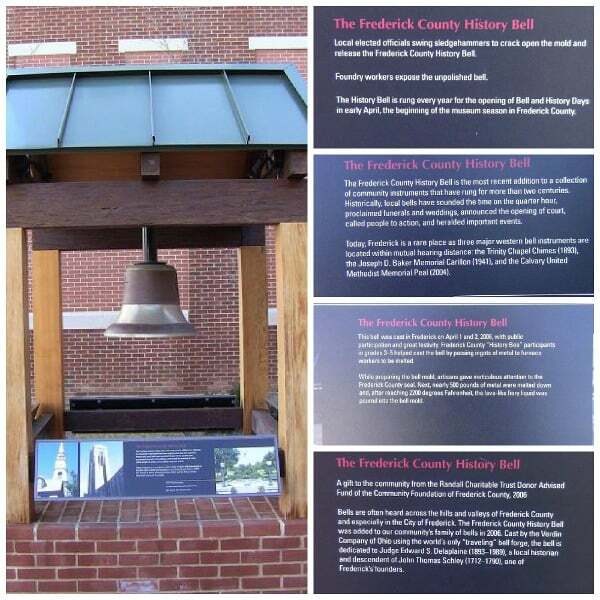 There is a plaque on each of the 4 sides of the bell describing it’s history. 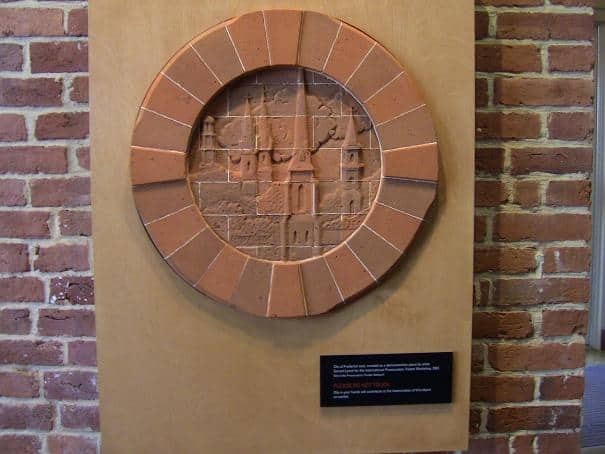 Also in the courtyard are plaques describing the Old Cannery Warehouse and Carroll Creek. 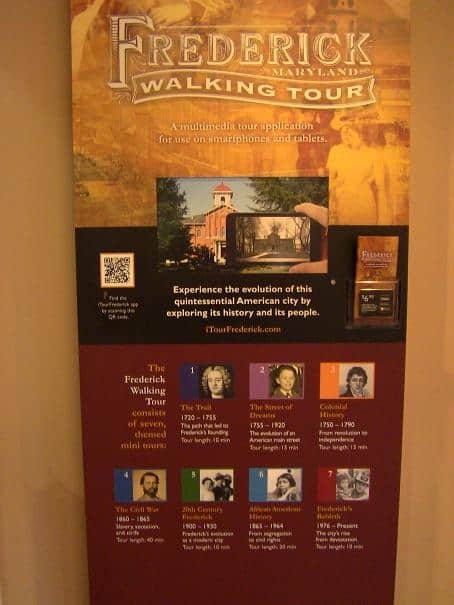 Terri and I were super impressed by what we found when we walked through the doors of the Frederick Visitor Center and know that you will be too. 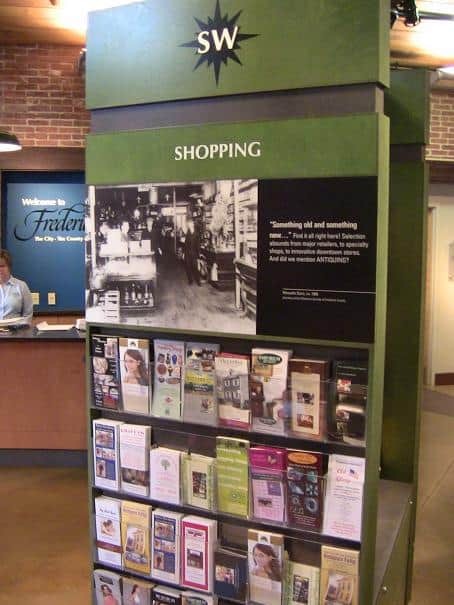 So if you’re a newbie to Frederick, if you live in Frederick and would like to impress your out-of-town guests, or if you’ve lived in Frederick all of your life and would like to learn more about its rich history and all it has to offer, you must plan a trip to the Frederick Visitor Center. You’ll be so glad that you did! And when you do visit, tell them that the Housewives of Frederick County sent ya! Who knew!!!!???? 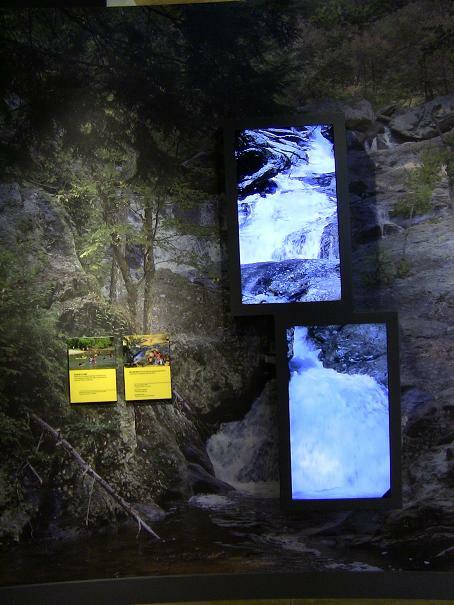 Very cool–why didn’t you invite me when you took the tour??? 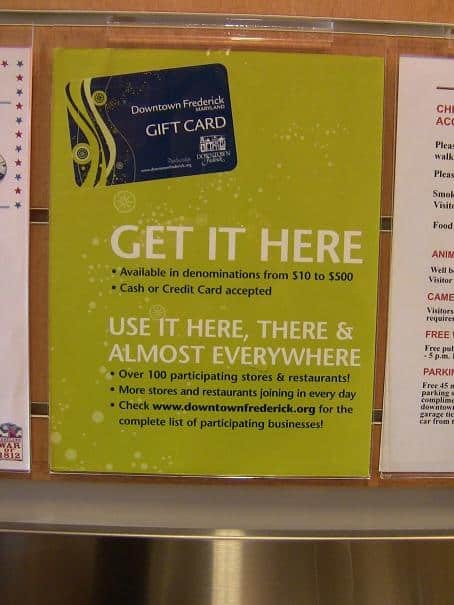 Where is it near that I might know in Frederick? We went last Friday. The same day we went to Sushi Densha. 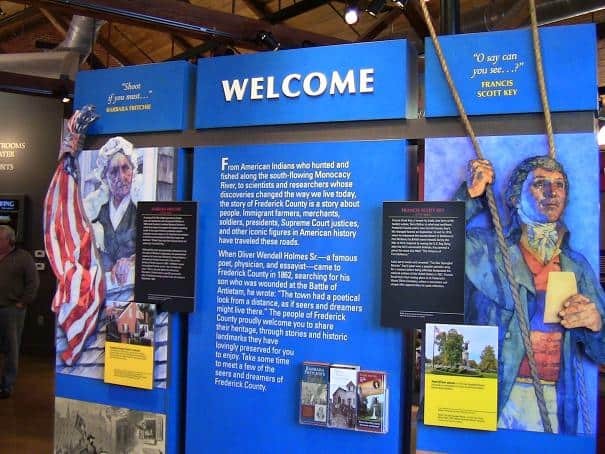 You must go with us next time. 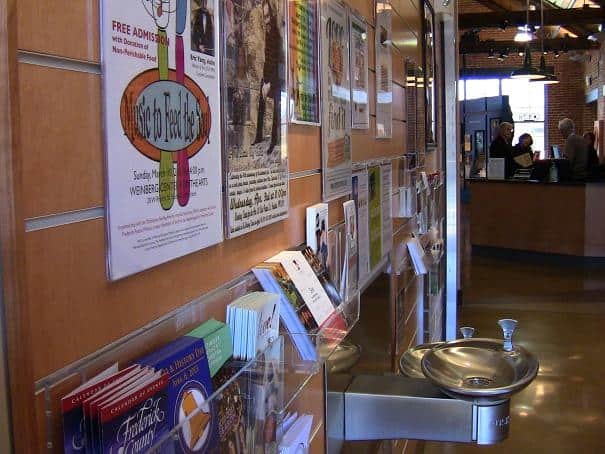 The visitor center is in downtown Frederick right off of Rt. 70. Thx Pam! I pass it all the time and never thught to go inside. But not anymore!!!! You’re very welcome  I’m so glad we went in and checked it out. 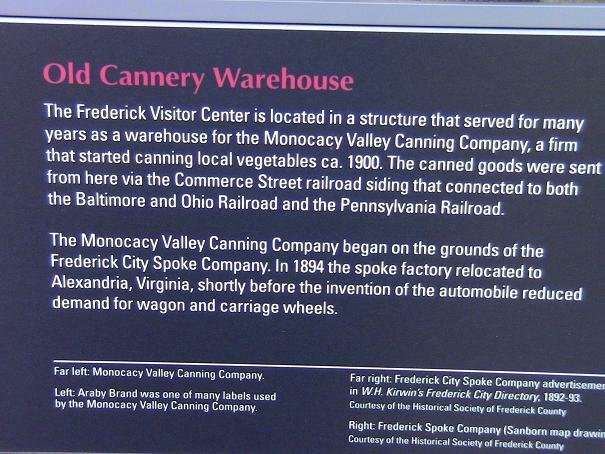 It’s gorgeous and has so much information about Frederick.